You know how much we love tacos! We've told you how to snag $1 tacos on Tuesdays at Hop Devil Grill, $1 tacos on Sunday at Mayahuel, free tacos on Tuesday at The Irish Exit, $2 tacos on Tuesdays at Toloache Taqueria, and $1 tacos on Wednesdays at Wharf Bar & Grill. We'll here is another one to add to the list! 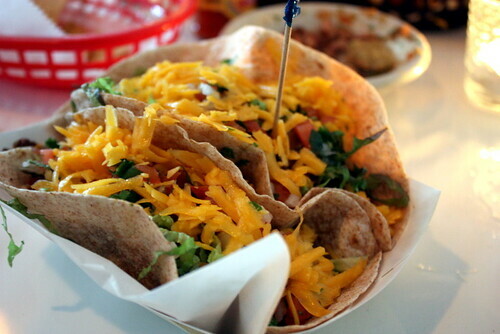 Every Tuesday, Cowgirl Sea-Horse (259 Front Street) serves up delicious $2 tacos. You can choose from ground beef, chicken, and black bean tacos + weekly specials! Check out the menu here.